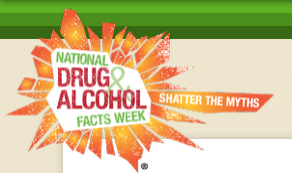 January 22-27, 2019, is National Drug and Alcohol Fact Week. At Edison Intermediate & Larson Middle School students will have myths clarified by facts during daily morning announcements and bulletin boards will offer further information. Each day students can complete a quick quiz for a chance to win gift cards. Parenting Teens: Why You Shouldn't Follow the Crowd Presentation - Thursday, January 31, 2019, at 6:30 p.m.
Join The Stand Project, Start Talking Grandview, Syntero, and the Grandview Heights Public Library for a special presentation: Parenting Teens: Why You Shouldn't Follow the Crowd on Thursday, January 31, at 6:30 p.m. at the Grandview Heights Public Library, 1685 West First Avenue. Parents frequently warn their children about the dangers of peer pressure and are comfortable coaching their children in ways that they can resist social influences to engage in risky behavior. But how much are parenting decisions influenced by other parents? How can parents unite to set healthy boundaries and change those norms that make us uncomfortable or fearful? The conversation will be led by Syntero clinicians for a community conversation about parenting, parental peer pressure, and strategies to unite around healthy behaviors. For more information, please visit the link below to the National Institute on Drug Abuse for Teens. Follow Start Talking Grandview on Facebook and Twitter for facts and conversation starters that will mimic the information shared in the schools. Research supports that parent conversation as most influential in a child's decision to refuse or delay drug and alcohol use. Start Talking today!